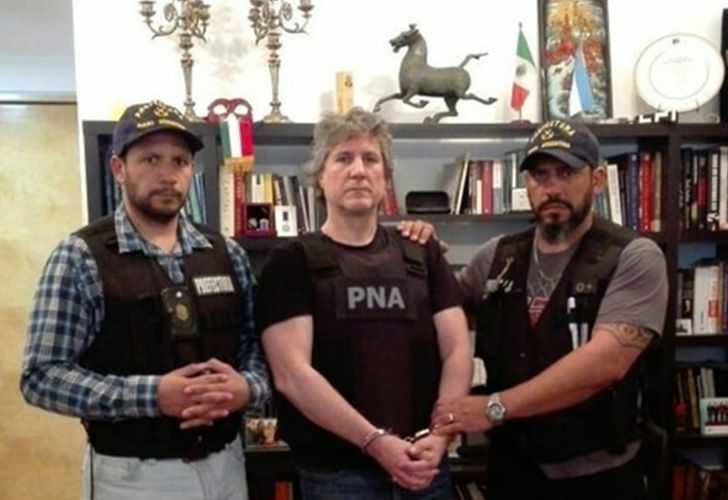 Cristina Fernández de Kirchner's former number two Amado Boudou is under investigation for corruption. He is currently being held in the Ezeiza prison. 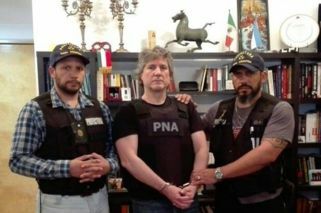 Former vice-president Amado Boudou returned to court Tuesday morning to request his release from jail until a decision is made in the embezzlement and money-laundering case against him. Cristina Fernández de Kirchner’s former number two arrived to the Comodoro Py courthouse mid morning for a 10.15 hearing. He will also request judge Ariel Lijo’s recusal from the case, Infobae reported. The 55-year-old was arrested on November 3 in his Puerto Madero apartment. His arrest sparked outrage because of its highly public nature and the leak of a now infamous photo, which is also currently being investigated. Boudou claims that in the 5-year-old case against him, which remains unresolved, he has not behaved in a way that justifies his imprisonment.